Perfect for beginning blues and blues-rock guitarists, Beginning Blues Guitar is an introduction to basic blues theory, left-hand techniques, rhythm styles of Texas swing, slow blues, and minor blues---plus the styles of blues greats like Muddy Waters and Buddy Guy. Learn about call-and-response phrasing, intros, turnarounds, endings, and even improvisation. 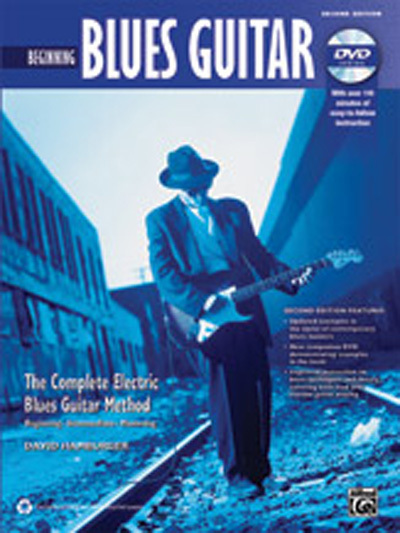 The second edition features new licks in the styles of some of the hottest contemporary blues artists, like Joe Bonamassa and Gary Clark, Jr., and includes brand-new video---hosted by expert educator and guitar virtuoso Jared Meeker---with exciting demonstrations of examples and techniques. Beginning Blues Guitar is the best step-by-step method for learning the substance and style of the blues.